Halloween is almost here! 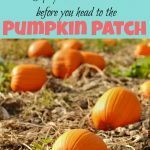 There are so many fun Halloween events for kids to participate in. However, at each event they attend they collect candy. Lots of candy! Don’t get me wrong, I’m not anti-candy. I enjoy candy as much as any other sugar-loving American, but how much candy can you give kids without things getting crazy? I don’t know about you, but I have enough crazy in my life without testing that out. 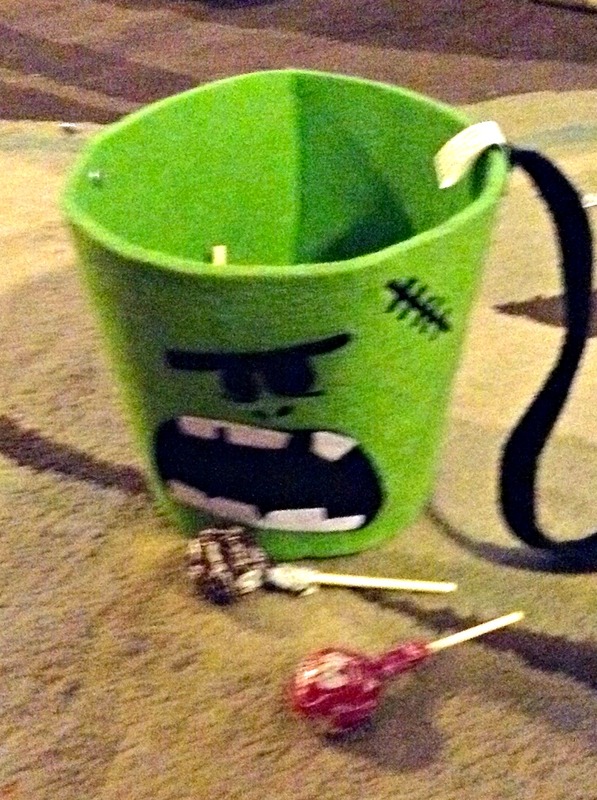 Now you can of course always find places to donate the candy. I hear people do that which is very generous of them. I hear other people throw it away. I don’t know anyone who does that. Chances are we aren’t friends if we don’t see eye to eye on important issues like the value of candy. If however, you don’t do one of those things or eat it all, what do you do with all that candy? Well, here are some fun ideas of ways you can use up that leftover candy. Chocolate never goes to waste in our home. However, if you have more self-control then we do a great option for chocolate candies it to chop them and put them in a ziplock bag in the freezer. Chocolate should last 6 months past it’s printed date in the freezer. You can then use this chocolate for baking, ice cream toppings or my favorite milkshake mix-ins. The internet is full of fun science experiments to do with candy. 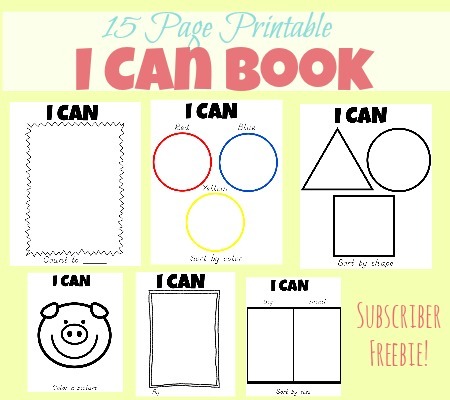 I’ve added many of these ideas to my Pinterest board if you need some inspiration. Kids in general, are a pretty creative bunch. 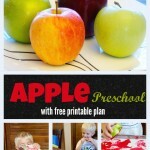 It could be fun to let them explore and think up some experiments of their own also. 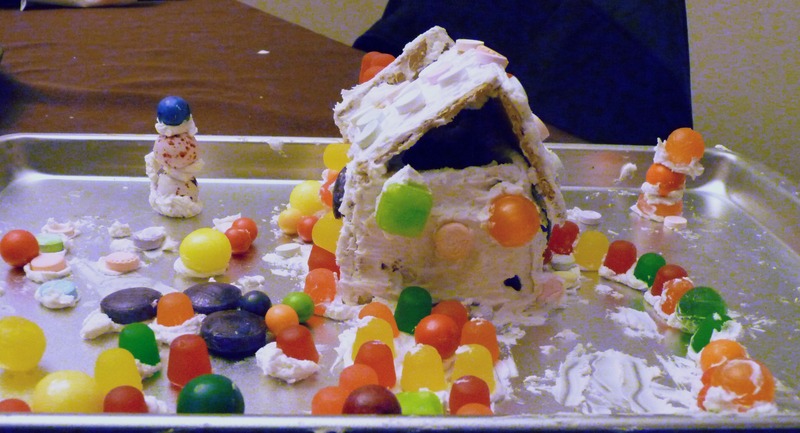 Use what is left of your Halloween stash to decorate gingerbread houses. This is a fun and inexpensive way to use up candy you probably weren’t going to eat anyway. Don’t think of this as bribing you kids think of it more as positive reinforcement. I mean who doesn’t like being rewarded for a job well done? I know I do. I started potty training two of my children after Halloween using candy as a reward. If they went to the potty they got to choose a treat from the bucket. This along with a lot of praise seemed to work well for our children. Christmas is just around the corner! It seems silly to go out and buy additional candy when you were just trying to rid yourself of it the month before. 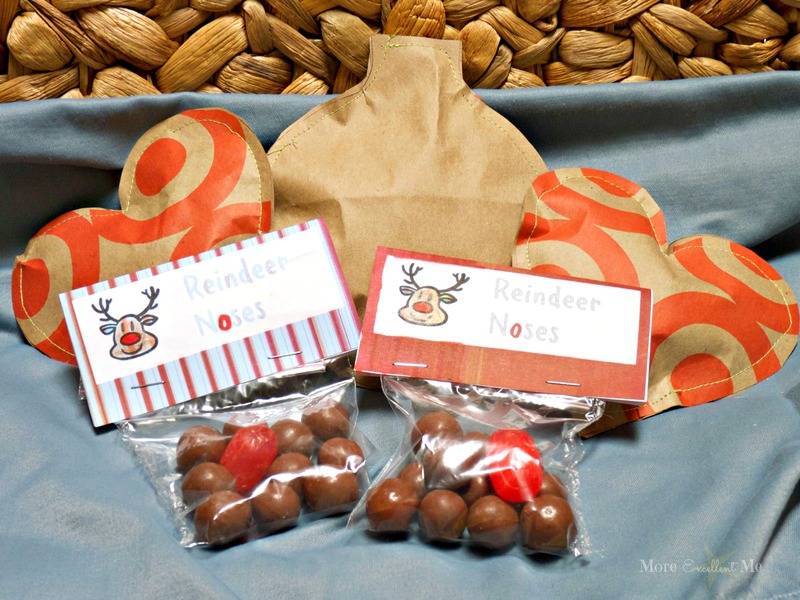 There are many cute ideas for packaging candy to make it more festive for Christmas. 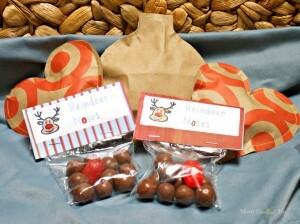 How cute are these Reindeer Nose or Sewn Paper Pouches? 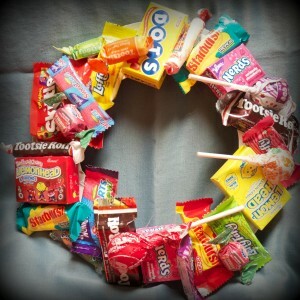 This idea is super cute Candy Wreath. Wouldn’t your kids love to find one of these hanging on their door when they wake up on their birthday? Plus, let’s be real most of this candy is pretty shelf stable and could easily still be good on their birthdays several months later. This game has been described as the most fun party game you will ever play. With that kind of description, how could you go wrong? Wouldn’t it be fun to make one of these candy tape balls and play it together Thanksgiving Day? You could entertain your kids as you wait for the food to finish cooking or while waiting for seconds or thirds. Again, no judging. Kids love using different materials in their artwork. I’m sure they would think using candy would be super fun! I have seen different ideas for using candy to make paint. That seems interesting. What I’m envisioning is more of a mosaic using candies. I’m sure there are endless numbers of ways your kids could use candies to create a fun art project. Turns out there are many Minute to Win it games using candy. 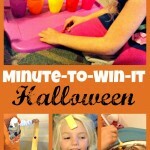 Have a Minuet to Win It family night competing in challenges and using up your leftover Halloween candy in the process. Kids love filling in do a dot pages with paint dot markers or stickers. It would be an easy switch to glue and candy to fill in the circles instead. 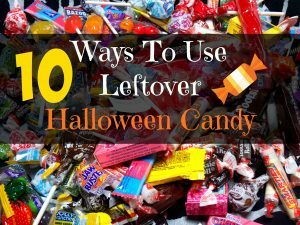 I hope that these ideas help you find some fun and useful ways to use up your leftover Halloween candy. Follow More Excellent Me’s board Left Over Halloween Candy on Pinterest. Do you have any creative ways to use leftover candy? Please comment and share!